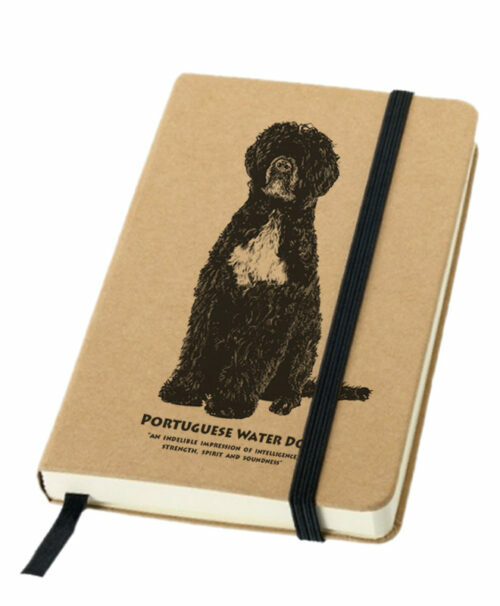 The Water Dog is known for its intelligence, spirit, strength and soundness. This is a breed more and more present all over the world it became famous after the Obama’s Bo and Sunny. 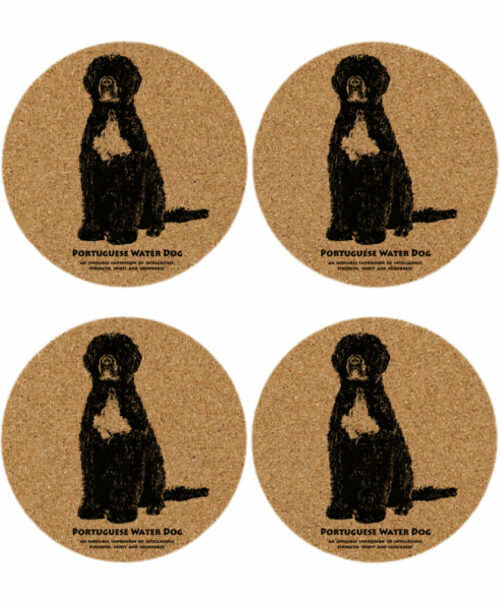 Amongst its most appreciated characteristics are: affectionate with family, intelligence, potential for mouthiness, energy level, playfulness and dog friendly. 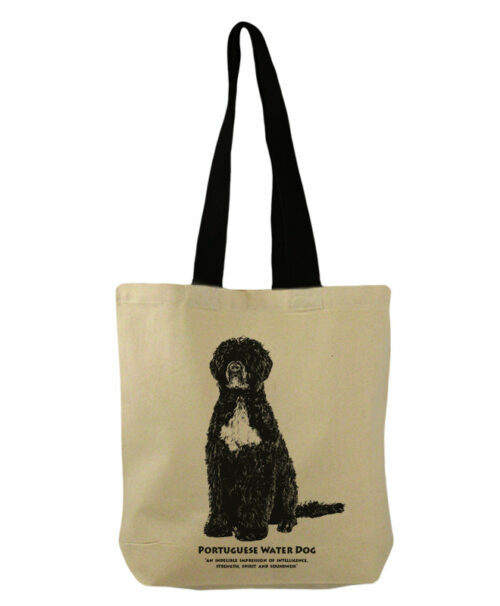 To get facts about this breed go to DogTime , Petful or Hillspet . 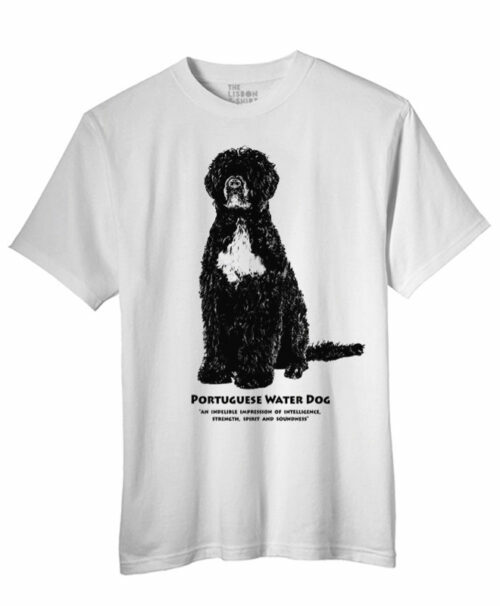 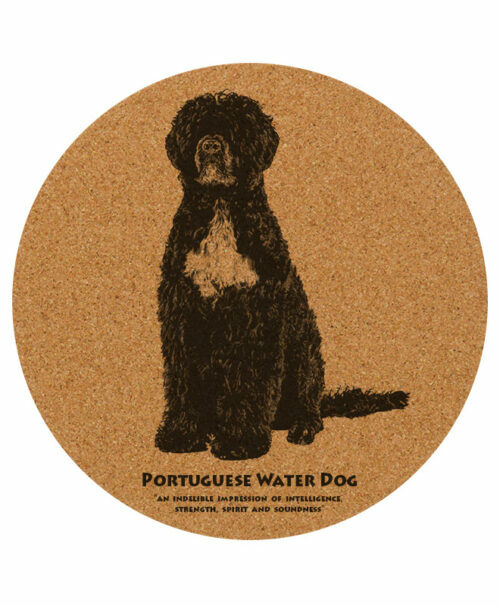 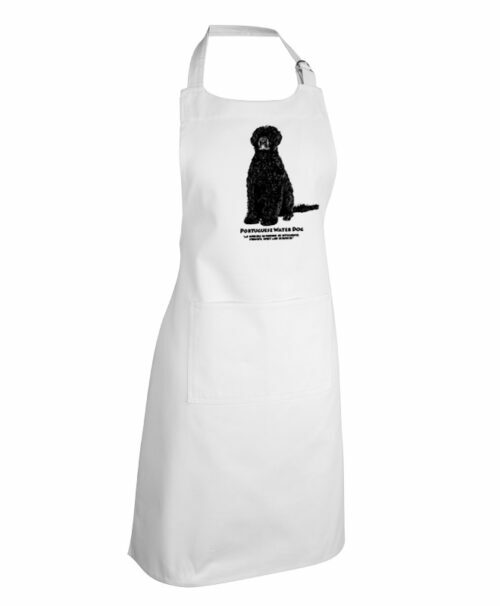 The Portuguese Water Dog Collection includes: t-shirts, tank tops, bags, apron, notebook, cork coasters placemats and trivets!